Bhutan is no ordinary place. 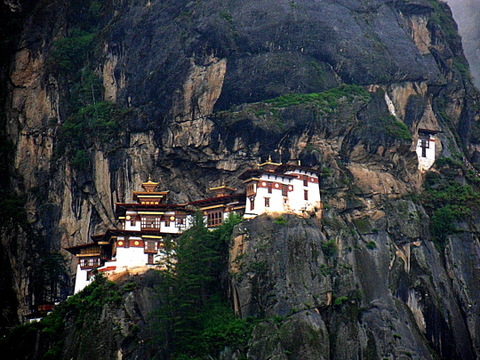 Known as the last true Shangri-La, Bhutan is a landlocked country in the Himalayas which until recently has been largely closed to the rest of world. Known for its intense Buddhist culture and gross national happiness, this enigmatic country has much to offer. 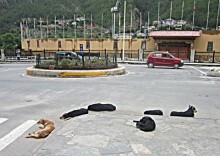 Like most countries throughout the developing world, an overwhelming overpopulation of free-roaming or ‘street’ dogs is a major issue due to public health and animal welfare concerns. In Bhutan, one of the the largest concerns, aside from rabies, is the incessant barking and howling which takes place at night, leading to many sleepless nights for its residents. Bhutan has an estimated 50,000 or more street dogs, the vast majority of which were historically unvaccinated and unsterilized. 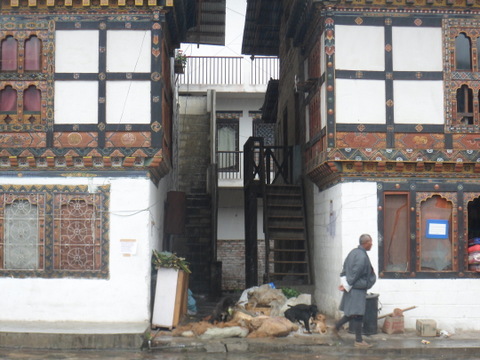 Bhutan has an estimated 50,000 or more street dogs, the vast majority of which were historically unvaccinated and unsterilized. 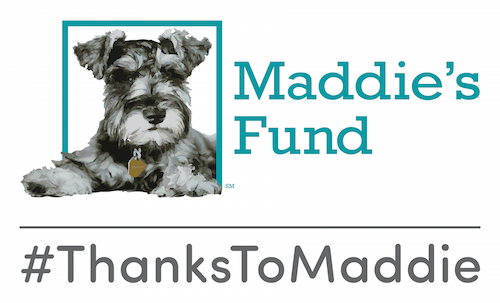 After several unsuccessful attempts to relocate these dogs into government sanctioned dog pounds, Humane Society International (HSI) stepped in to assist with the development of a sustainable solution for dog population management. After much negotiation and planning with the Royal Government of Bhutan, a Catch-Vaccinate-Neuter-Release program (CVNR) was implemented in Bhutan in 2009. Since then, over 32,500 dogs have been sterilized primarily by veterinarians from HSI India. Recently, 28 Bhutanese veterinarians have graduated from veterinary school in India and are ready to commence their training in high-volume, high-quality spay/neuter surgery. My flight into Bhutan was truly magical. Traveling from Nepal I flew by 4 of the 5 world’s tallest peaks, including Mount Everest. Arriving into Bhutan was akin to a fairytale. The small airport was nestled in the hills of Bhutan dotted with traditional Bhutanese homes. Arriving into Bhutan was akin to a fairytale. 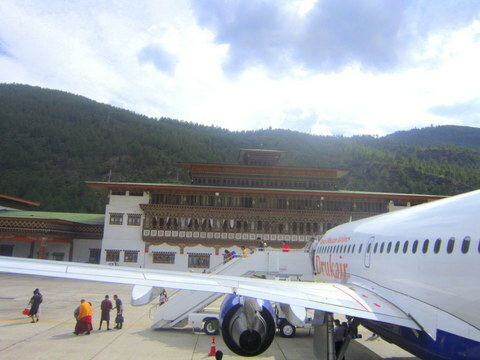 The small airport was nestled in the hills of Bhutan dotted with traditional Bhutanese homes. 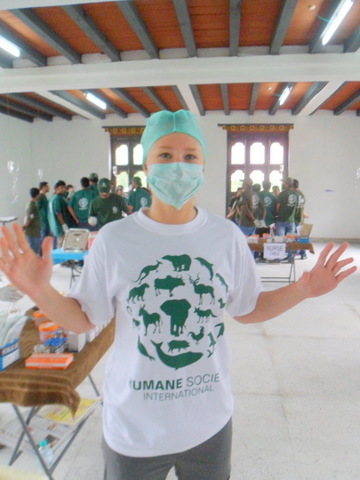 My first days in the country were spent assisting with a month-long training program of the new Bhutanese veterinarians both in the classroom and during a spay/neuter wetlab. 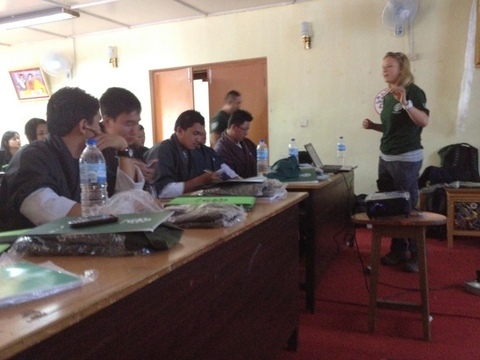 Classroom lectures were delivered on topics such as animal welfare, canine behavior, and basic surgical techniques. 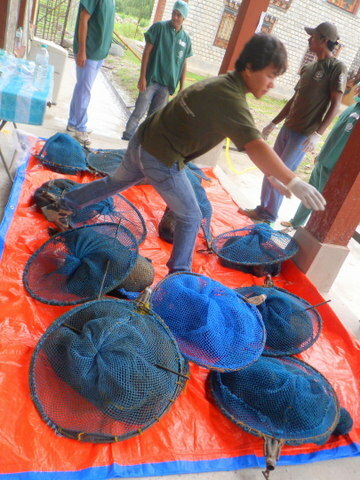 During the wetlab, dogs were captured in the morning in nets, brought to clinic, ear notched for identification purposes, rabies vaccinated, sterilized by clinicians and students and released several days after. The quality of instruction provided by HSI was excellent and should adequately prepare the students for the tasks that lay ahead. After the training, the CVNR program will be handed over to local authorities, effectively transitioning from HSI India control to solely Bhutanese hands. A target goal of sterilizing at least 80% of the dog population will be pursued. Currently, HSI is on track to complete 50,000 sterilization surgeries by the Fall of 2012. A target goal of sterilizing at least 80% of the dog population will be pursued. Currently, HSI is on track to complete 50,000 sterilization surgeries by the Fall of 2012. Recently, a contract extension has been granted to allow HSI to continue working in Bhutan for an additional 2 years to assure the smooth transition of veterinarians and success of the program. Overall this program has made remarkable achievements since being implemented in 2009. It will certainly serve as a model for the rest of Asia and I’m excited to hear about its future successes!